Lake Village Airport features a 2500' lighted runway comprised of a 90' wide grass strip, bordered by a 38' wide paved strip. 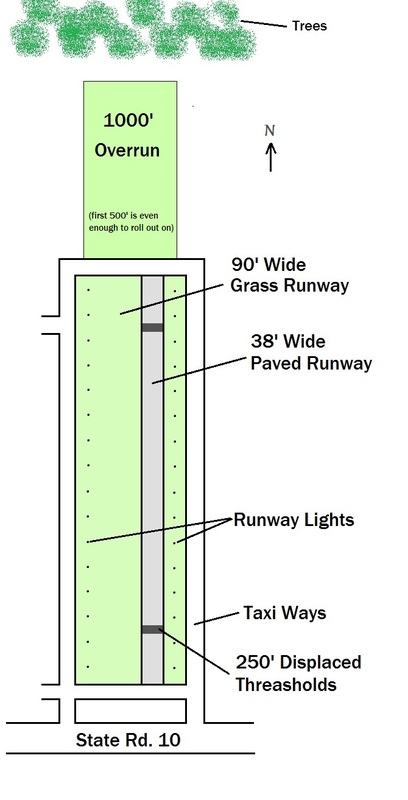 Be advised that the taxiways on either side of the runway are used by auto traffic as well as aircraft. Standard left hand traffic patterns are used for both 18 and 36. The activity here is light on the weekdays, but weekends get fairly busy, especially with glider traffic, so please keep an eye out. While we ask, if you have a radio, that you please use it, there are a few aircraft here that do not have radios in them such as some gliders, glider towplanes and antique biplanes. Please keep this in mind when in the area. Aircraft are welcome to tie down overnight, but please notify us before doing so. If you have any questions don't hesitate to give us a call.